Thermeta Service BV is an internationally operating company specialised in the design, production, installation and maintenance of combustion devices/plants of an excellent quality. 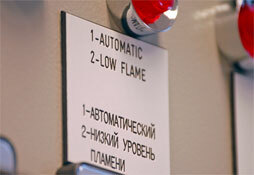 Thermeta Service BV is one of the major burner manufacturers in the Netherlands. The Thermeta Service BV burners have been installed all over the world and are used by many satisfied customers for various applications. Many international customers have also decided to have the burners maintained by service engineers of Thermeta Service BV because of the quality of the service, flexibility and expertise.